The death of Grand Duke Alexis Alexandrovich in Paris two months ago has led to a "rather disagreeable complication" concerning the claim of Count Alexis Belevsky, who is the late Grand Duke's son. The late Grand Duke had left instructions in writing that Count Belevsky be given the bulk of his estate. His writings make it clear that the Count was his son. Count Belevsky has been forced to file suit to gain his inheritance, but the "prospect of success does not seem too great," reports the Los Angeles Times, as the late Grand Duke's family is resisting the action. Zhukovskaya, who was a maid of honor at the Russian Court. She died in 1899. Alexis was born in Salzburg on November 26, 1871. He was given his mother's surname until 1884, when Alexander III, who was Grand Duke Alexis' older brother, created him as Count Belevsky. 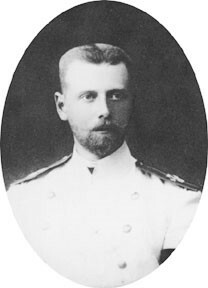 The young count was close to Grand Duke Serge, another uncle, as he married Princess Maria Troubetskaya at Serge's country home, Ilyinskoye, in August 1894. The couple have four young children, Countesses Elisabeth, Alexandra, Maria and Count Serge. Grand Duke Wladimir, another of Grand Duke Alexis' older brothers, is the executor of his estate, and he refuses to "disgorge a solitary kopek" to Count Alexis has been forced to sue him. The Duke's name is Alexei Alexandrovich. Slavic name suffixes have complicated spelling.